The Ruger PC9 will now be more customizable than ever with the upgrades we have been working on. 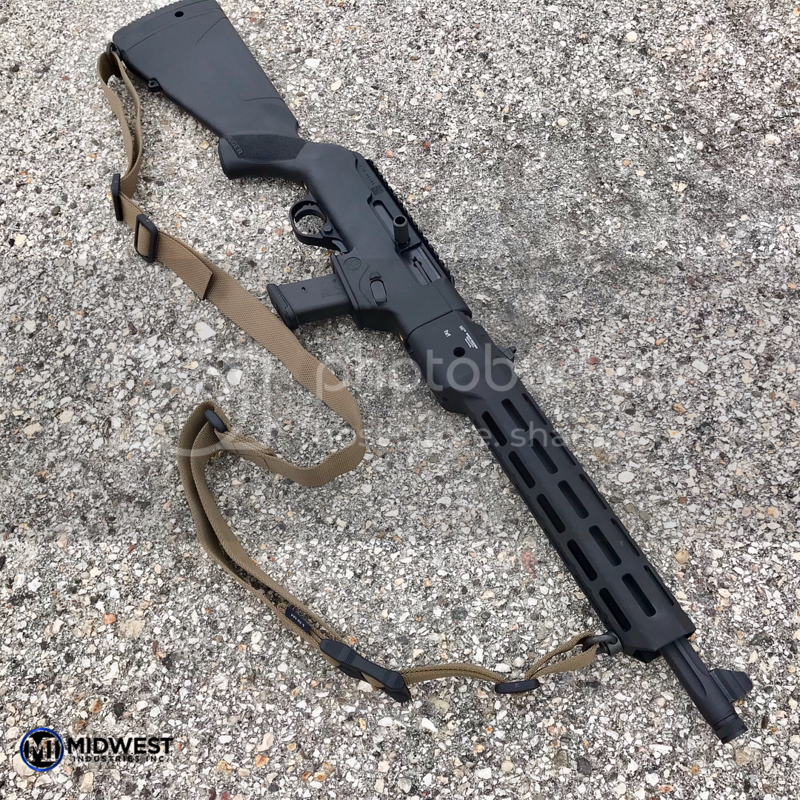 The Midwest Industries PC9 Combat Rail (MI-CRPC9) is a light weight, slim profile upgrade that installs with ease with the provided mounting bolt and 5/32 allen wrench. 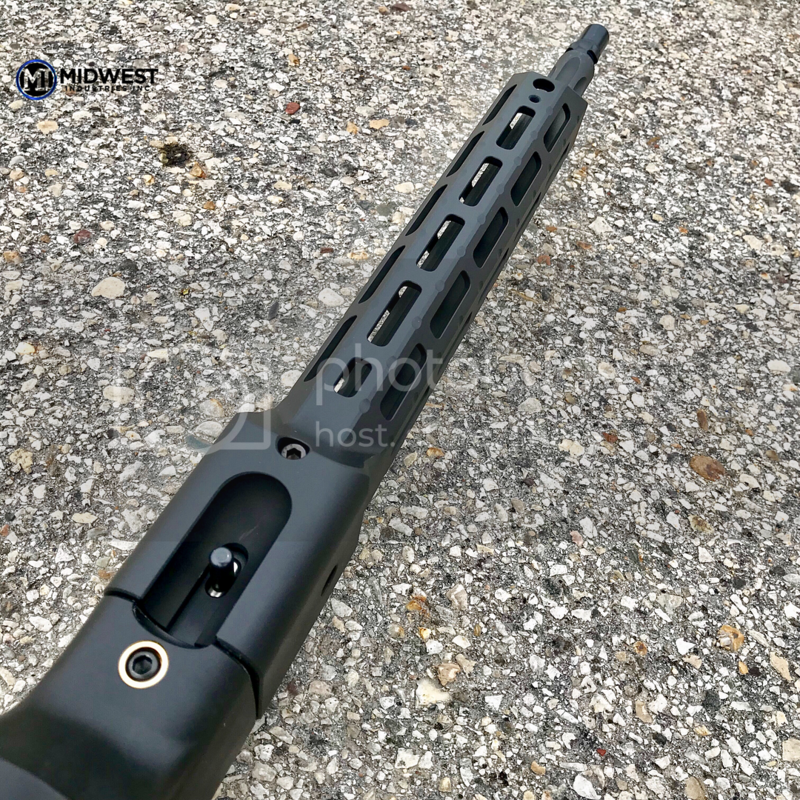 The handguard is 12” in length and features 8 sides of M-LOK slots. 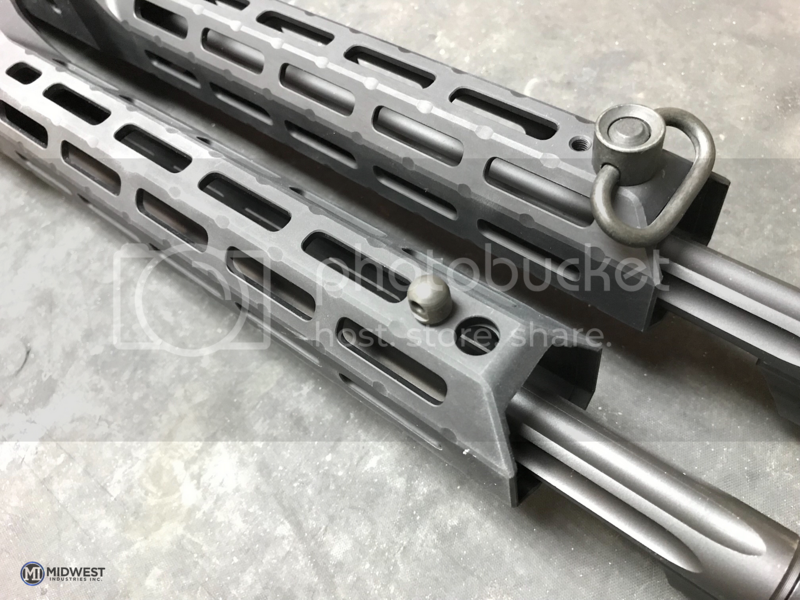 It has a total of three built in QD sling points with one on each side and a third on the bottom to allow for a more traditional way of rifle carry. 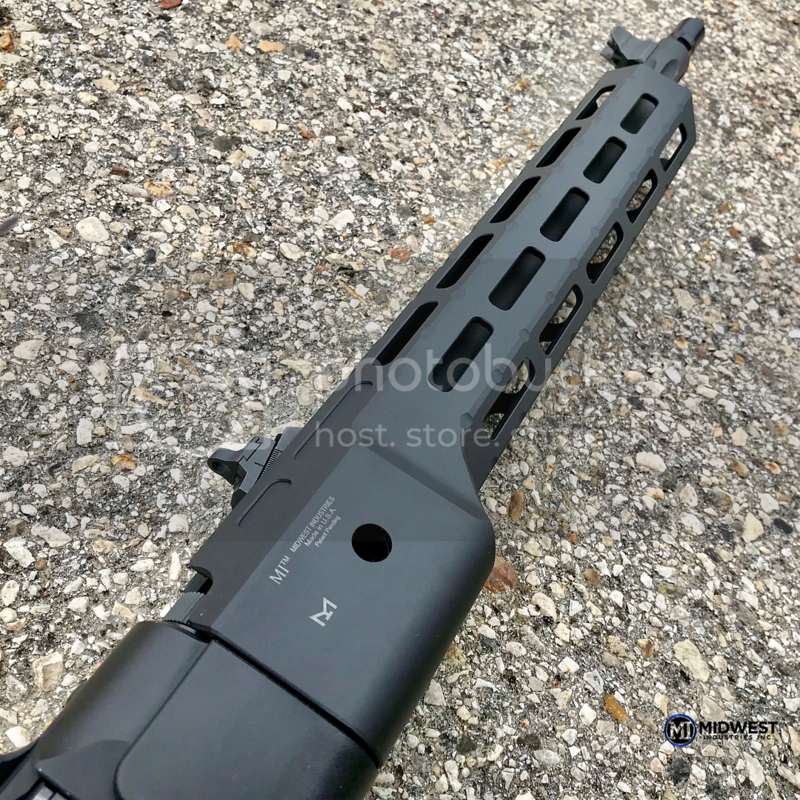 With a 6061-aluminum construction and type 3 hard coat anodized finish this handguard will last a lifetime and has the warranty to back that up. A five-slot polymer M-LOK rail is included. This handguard has a patent pending. 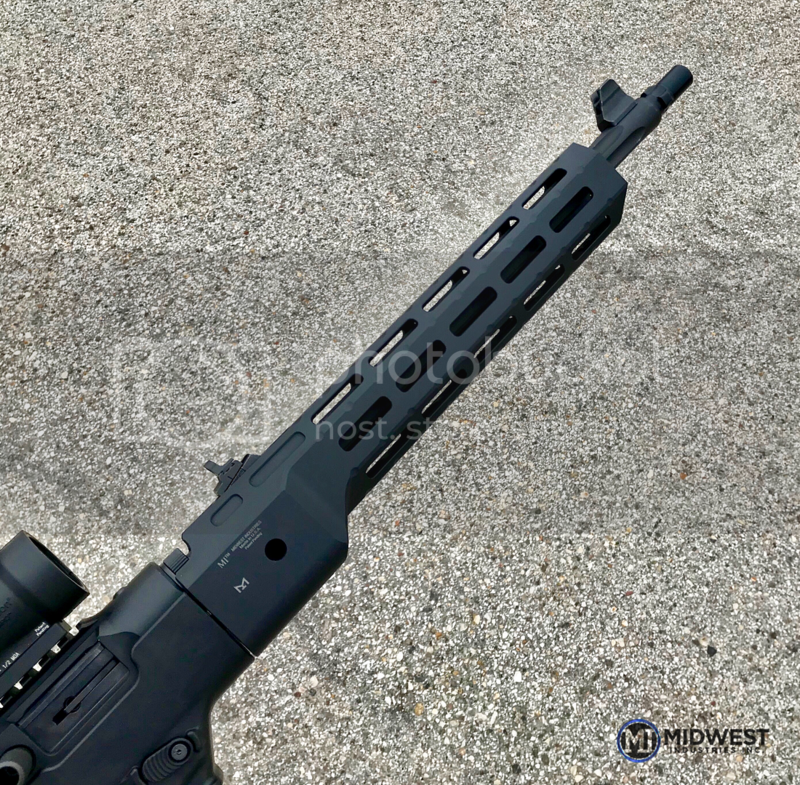 With the addition of the handguard's front QD sockets comes the need for a place to sling up in the rear of the stock. With this need comes our stock plate (MI-PC9QDSP). This plate is super easy to install with the factory hardware, weighs just 3.2 oz and has three build in QD sockets with one on each side and a third on the bottom. 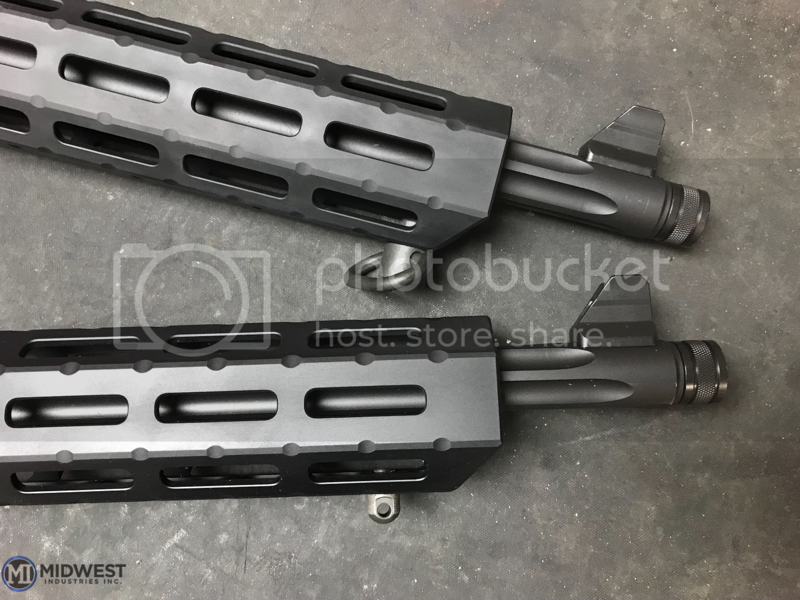 This product, like the handguard, is constructed of 6061 aluminum and has a type 3 hard coat anodized finish as well as a lifetime warranty. Not to be left out, we also looked at the bolt handle and saw room for improvement. With a slightly longer than factory length and a knurled exterior finish our bolt handle (MI-PC9BH) will not slip from your fingers when used to charge or clear your rifle. This handle is constructed of 4140 steel and is coated with a mag phosphate finish. This handle installs with the factory hardware. These products, like everything we make, is putting Americans to work by being 100% made in the USA and is backed by our lifetime warranty. Last edited by Midwest Industries; 20 March 2019 at 13:33. DAMN! That rail improves the looks of the gun by about 150%, at least. That does look very good. 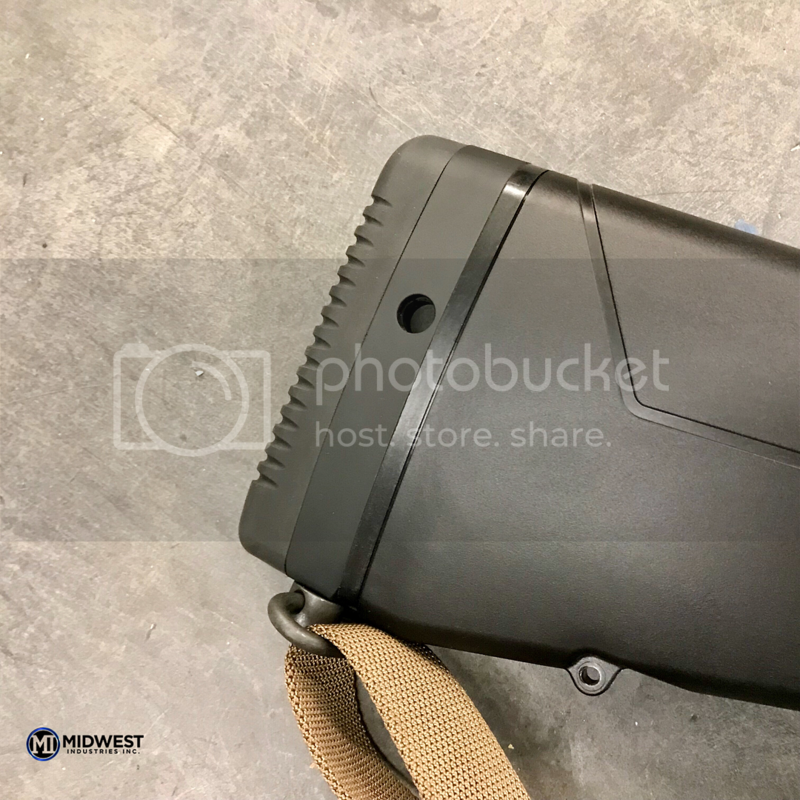 Last edited by Midwest Industries; 22 March 2019 at 08:35. Pre orders will begin April 22nd! A lot of time and thought went into this handguard. We have incorporated three QD sling attachment points as well as a place to thread in a stud for your Uncle Mikes style sling. 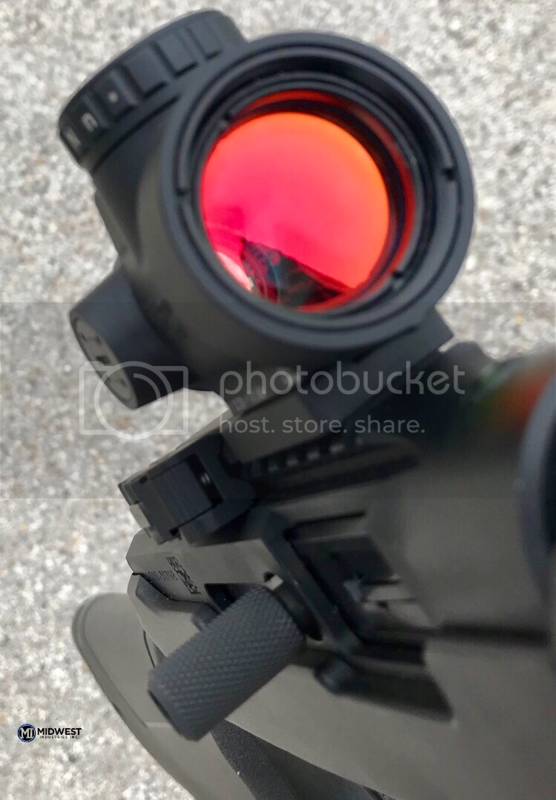 Another feature we offer is a row of M-LOK slots along the top edge which allows for mount lights for night/ indoor shooting or hunting. 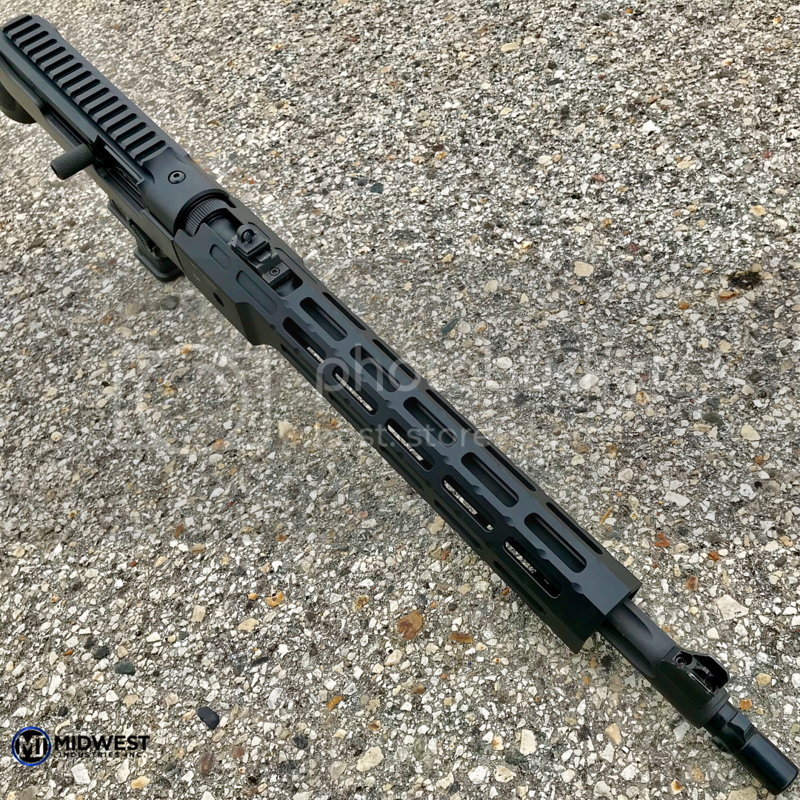 It was our goal to make a handguard that was as functional as possible, as well as offer something aesthetically pleasing.